The best way to enjoy the iconic peninsula of Mauritius. The trail is mostly shaded and well-worn at the beginning, making it an easy warm-up, and it becomes steeper and trickier as you ascend, with rocky sections where using your hands and the ropes provided is necessary. Keep ascending up to the highest accessible point to enjoy the most beautiful views of the South-West lagoon! For beautiful views of the blue eastern lagoon and the first port of Mauritius (Mahébourg). This technical hike only gets better as you ascend– its technicality makes it one of our favorite hikes around. Our local, most intrepid guides invite you to one of the wildest places of our island: 7 Cascades. You’ll be taken for a river trek, jumping into plunge pools and abseiling waterfalls. 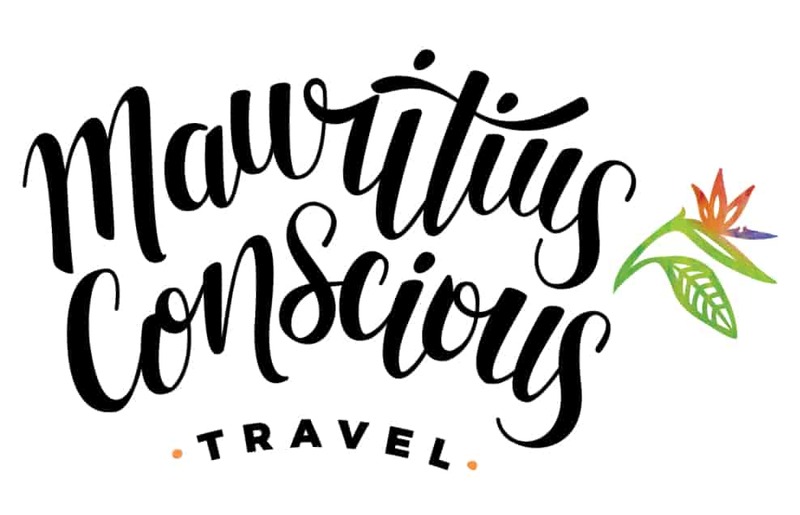 To make this happen in the safest ways, you’ll be accompanied by the professional team of Olivier, one of the 1st ones to implement ecotourism in Mauritius 13 years ago. They will secure you with 1st class equipment and life jackets – it is not essential to be a swimmer. Start the day with a zip-line experience, flying over Riviere des Galets through 6 wires, accounting for 1.5 km in total. You’ll be welcome back to land with a home-made Mauritian lunch prepared with vegetables and herbs from the orchard. The owning family of this Ecotourism Reserve will make you feel at home by the lake, where you are invited to unwind for the rest of the day. This adventurous ride takes you from the turquoise and wild beaches of the North-East to the Bras d’Eau National Park, a beautiful endemic forest. Along the way, your Mauritian guide will brief you about the flora and fauna of the place, immersing you into Mauritius’ natural heritage. To finish on a high note, they’ll invite you for an underground hike and a refreshing splash in what we consider the best kept gems of Roches Noires. This 3 in 1 experience is a total must-try to discover Mauritius’ diversity and dynamism. For 360° mesmerizing views of the island. Catch details of Port Louis, the industrial port and beautiful sights of the Moka range. Far north you’ll be able to spot the iconic islets of Coin de Mire, Ile Plate and Ile Ronde. For diverse viewpoints of the National Park, its lush mountains and the west coast with its turquoise lagoon. The Black River Gorges is one of the few places with prevailing Mauritian native forest, ideal to spot endemic species such as the echo parakeet and the Mauritian kestrel. Mostly shaded and muddy woods. The Pieter Both is one of the most iconic and respected mountains of Mauritius, famous for its round-shape rock perfectly balanced at the top. This rock represents the 2nd highest point in the island and conquering its top promises 360° views of the whole Mauritius and its surrounding lagoon. Being one of the most difficult summits to reach, our professional team will secure you with helmets, ropes and harnesses to assure safety throughout the steep and narrow trail. To ascend the mountain you can either opt for 2 abseils of 70m each or through the same way you came up. Ready for a rush of adrenaline? In the South of Mauritius, Riviere des Galets irrigates hundreds of hectares of sugarcane fields. Today, we invite you to refresh in its flowing waters, sliding through naturally polished rocks into safe plunge pools where you will enjoy an invigorating swim. The most adventurous can jump off the rocks imitating the waterfalls – you’ll count with a helmet and wetsuit at all times. Being physically fit and a swimmer is necessary to enjoy this eco-tourism activity to the best. A slice of untouched heaven. Head to the wild South for a beautiful coastal trek that will fascinate you with kms of unspoiled beaches and rugged cliffs: The perfect balance between adventurous and romantic holidays. The trek starts at La Cambuse Beach, pristine and wild due to the break in the coral barrier that allows for waves to break in, and will take you by Pont Naturel, another beautiful scenario of waves crashing on a natural bridge formed by rocks. You will finish in the famous spot of Le Souffleur, a basaltic cliff that blows water up to the sky. Enjoy the rest of the day exploring the beautiful surroundings! Discover some of the last remaining and best preserved pieces of ebony forest in Mauritius. See the threatened and rare native birds and reptiles flourishing thanks to Ebony Forest Reserve’s conservation efforts. The visit consists of a guided tour of the Flycatcher raised walkway, followed by a guided hike along the Ridgeline Trail. You will arrive to the mesmerizing Sublime Point for a snack and a refreshment. You’ll have the possibility to hike the Piton Canot before returning to the Visitors Center, where you’ll be rewarded with a generous lunch sourced from products of the area. Plant a native tree and contribute to saving Mauritius’ biodiversity! Join our good friend and trusted guide to discover Eau Bleu Waterfalls, a magical, mystical place at the South-East of Mauritius. A set of 4 hidden waterfalls follow the river, where the water is blue and bright as a pair of baby eyes. The hike is not physically demanding, but it surely gets slippery and a bit dangerous. Adventuring yourself with a professional guide is the best way to assure a good time. Wandering Port-Louis’ narrow, cobblestone streets is like traveling back in time. The old black stone buildings, traces of a colonial past. As you leave the main street and wander through the side streets (narrower but not less crowded), you will notice distinct smells: spices, incense, deep-fried dough, exhaust, and seawater. Experience the Mauritian way of living by sampling typical Mauritian dishes: steamed dumplings in succulent broth, rotis – Indian crêpes filled with cooked vegetables and spices, grilled peanuts dyed pink, and gato pima, deep fried chilly cakes. You will bike through sugarcane fields while learning what life was like in the times of the slaves and indentured laborers who build this nation. You’ll immerse yourself in Mauritius eclectic culture by visiting the quarters where the laborers used to live, the Hindu temple where they used to pray and a vintage Chinese boutique with its hand cut stone walls. For a rewarding end, you are then invited for a gourmet Mauritian lunch in a truly beautiful place, a colonial style home where the master of the sugar plantation once lived with his family. Nestled between the sea and sugarcane fields, Poudre d’Or is a charming place. You will wait for the pirogues coming back ashore with freshly-caught fish on the old jetty and talk to a fisherman braiding his bamboo fish traps. Exploring the different places of worship of the village, you will witness firsthand the fascinating spiritual realities of the island. To finish on a high note, tea will be served in an extraordinary place, a well-kept secret! A visit to Mauritius wouldn’t be complete without one thing: Rum! Reason why we’ll set you up with Jean Alain for a sugarcane-cutting tour. He will teach you the techniques and tools employed by his ancestors, when sugarcane was cut manually to build this nation. After cutting your own canes, you’ll look at the crushing demonstration and refresh yourself with the extracted sweet juice. You are now ready to shake your own mocktail or cocktail mixing cane juice, lemon, mint and (optionally) the rum of the house, the New Grove. This cultural walking tour will take you to discover Port Louis secrets and what lays behind its walls and people. It is a treasure hunt dedicated for young and grown-up children, starting at 6 years old. You will explore unexpected places while learning about the great periods in the history of Mauritius. All your senses will awaken while discovering new smells, learning about your environment and the Mauritian culture richness. A culturally-rich excursion that will take you through the traditional South-East coast of Mauritius: Mahebourg, Ferney, Grand Port, Ville Noire & Bois des Amourettes, sprinkled with Dutch ruins and colonial history. You will meet with artisans braiding the traditional Mauritian baskets made from vacoas leaves as well as Mr. Pok, one of the few remaining ranzer pirog in the island. You’ll refresh with his stories while enjoying a jus tamarin offered by Salima, or well, an unbeatable glaçon râpé from the famous Ice Man of Mahebourg. A fantastic immersion into the untouched nature and culture of the South of Mauritius. The integrated electric motor of your bike will help you ride through picturesque fishermen villages, the wild cliffs of Gris Gris and La Roche qui Pleure, and some of the most pristine beaches of Mauritius, St. Felix and Riambel. In one of your several stops you will be welcome by Madame Mala, who will treat you in for lunch in the most authentic way. This cultural tour takes you for a walk through Port Louis, which will give you a sense of what the city felt like during colonial times. You will meet some of the skilled workers and local artisans who continue to make things by hand. You will learn about how they came to be, but also what will become of these vanishing trades. Barber, tinsmith, tailor, shoemaker, printer, jeweler… You too will fall for the vibrant city and its people. Daniella Bastien, a talented poet who beautifully plays ravanne, will welcome you in her house. She will make you listen to the flagship titles of the great talents of the traditional Mauritian Sega. Around Mauritian tea, you will start your introduction to this instrument inherited from the days of slavery, made from the skin of the kabri (goat). Our trusted friends in Flic en Flac still run their licensed Diving Centre from the house of the founder, who discovered quite a few fish species in Mauritius that today carry his own name. We collaborate with them because they work to share their passion for the ocean rather than just to run a business – you will notice it in their devoted service and their traditional wooden boat that they never overload. Our trusted Diving Centre is just a walk away (or a short bus ride) from Bleu de Toi Guest House. Rikki and her team of Mauritian divers will welcome you warmly into their family-run business, where their efforts to protect the marine environment are notorious in every dive. In association with the local NGO REEF Conservation, they’ve been involved in the collection of sea urchins in overpopulated areas of the reef, as well as in ongoing lagoon-cleanings and coral monitoring to aid the work and research of the NGO. In their efforts to anchor the least possible and avoid damaging corals, skippers secure themselves to previously installed buoys in their common diving sites and proceed to switch off the boat engine. Enjoy Tamarin’s most romantic hours during a stand up paddle (SUP) excursion up the Tamarin River. Let the gentle sun caress you while contemplating painting-like views of green-necked ducks flying off the mangroves. The sound of crashing waves will follow you while Julien shares stories of the area and its fauna and flora like a true, proud guardian of his heritage. 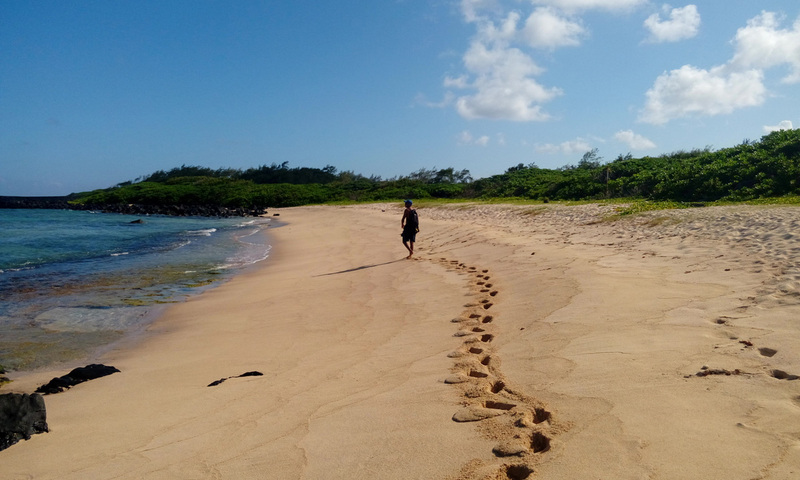 To wrap up the experience, your guide will invite you for home-made refreshments and snacks on the beach, where you’ll wave good-bye to a great day on the most Mauritian way: Phoenix beer in one hand and happy dogs running all around! We invite you to spend the day in the South-East, where you’ll be taken for a fantastic snorkeling trip around a shipwreck dating from in 1902. You will learn about the different kinds of corals in the Bay guided by a certified Marine Guide, a graduate from the Environmental Practices Training imparted by the NGO Eco-Sud. If the weather is favorable, you will come back from your session on a stand up paddle (SUP), and be welcome back to land with a rewarding 3-course Mauritian lunch facing the sea. You are invited to spend the day in the beautiful beach of Pointe d’Esny and make use of all the Boathouse equipment to enjoy the Blue Bay Marine Park. Tamarin proudly represents the preferred surfing spot for Mauritians of all ages. The break in the coral barrier helps beginners ride their first waves inside the bay while the more experienced ones enjoy good ole’ rights and lefts closer to the reef. We can gladly set you up with our local surf-pride, Bart, for a one-to-one surfing lesson according to your level. On the West coast of Mauritius lies a quiet village bordered by rugged cliffs and caves. It is the same area where the government of Mauritius intends to install a petroleum refinery, threatening thousands of living organisms, from corals to dolphins, humans and the migrating whales that visit our West coast every year. In their efforts to increase awareness of the beauty and value of this place, our professional guides have developed a paddling adventure around the coast, bringing locals and tourists to explore the carved basaltic rocks of Pointe aux Caves. The experience is available for experienced paddlers only. The pioneers of ecotourism in Mauritius invite you for a sea-kayaking excursion through canopies of mangroves in the isolated Amber Island, and take you to explore this natural reserve by foot and snorkel around its mangroves. Throughout the excursion you will learn the relevance of this unique trees to the marine and coastal ecosystems, becoming aware of the ways to help them propagate. Reef-friendly sunscreen is provided free of charge by your guide in their efforts to reduce their impacts on the natural environment to 0. Paddle your kayaks in the magnificent lagoon surrounding Bénitiers Island on the West Coast of Mauritius. Breathtaking thus challenging, this adventure will take you to unique places such as the Crystal Rock, a coral relic overlooking the landscape. You will be able to enjoy spots around the island that are inaccessible by boat, therefore ideal to enjoy a refreshing snack and swim. Your guide will tell you about the surrounding fauna and flora throughout the experience. The excursion includes a healthy picnic (lunch) on the island. Stunningly lush, wild and imposing. The Tamarin Falls take you to the very heart of our paradise island. Small drops invite you to swim in their safe plunge pools, while the bigger ones take you day-dreaming in their openness and magnificence – a must try to soak in the wild beauty of Mauritius. Within the Bambous Range, this mountain will surprise you with the best views of the Eastern lagoon of Mauritius. From Ile aux Cerfs to Pointe du Diable, your eyes will be filled with green fields, coastal villages and a piercing blue lagoon. Along the way you’ll find ‘hundreds’ of Mauritian flying foxes – huge ones! Enjoying the wind currents and planning before your eyes in every viewpoint. The hike is not very challenging, although the trail is quiet blur in certain areas (specially coming back).  Navigate it with our experienced local guide! This is a family activity for children as from 3 years old. The ride covers 5 to 7 km in the Wolmar Reserve, where you’ll be able to appreciate the endemic flora of Mauritius, wild boars, deer and geese. You’ll learn about the story of this Domain, related to coal merchants and the Java Deer. The excursion lasts 4 hours, taking view breaks at the pace of your family and ending up with a locally-sourced traditional lunch. Baby seats for bike can be provided upon request. This is a natural and cultural excursion in electric bikes: similar to conventional bicycles but with an integrated eco-motor to facilitate the ride. Our local guides will take you around the South-West coast, paddling through picturesque fishing villages such as Bel Ombre, Baie du Cap and La Prairie, all the way to Le Morne. The ideal soft-adventure for those in search of the real Mauritius. A great opportunity to discover all the authenticity of Chamarel in the most conscious way: biking! With the help of an electric motor integrated to your bike, you’ll visit various popular sites including la Rhumerie de Chamarel, Mauritian coffee and pineapple plantations, the 7 Color Earths and stunning viewpoints including a waterfall and our turquoise lagoon from the heights. Lunch will be served in a typical restaurant a fishermen village, where you’ll re-charge energy to continue biking up to Chateau de Bel Ombre, a splendid colonial house. This guided tour ends in the sugar factory of Bel Ombre. Located in the charming Vanilla Village, Vanilla House assures you a 360° experience of Mauritius. Within this sanctuary you will find your daily dose of healthy juices from their juice bar; an array of ecotourism activities in the nearby area; a mini-market with fresh local produce and the loveliest offer of local handicrafts, 100% made in Mauritius. Vanilla House is ideal for travelers looking for an authentic experience of Mauritius, comfort & hospitality included. Its privileged location in the region of Black River allows you to enjoy the beaches, mountains and picturesque villages of Le Morne, Chamarel and the Black River Gorges at a short bus ride. The Guest House counts with 9 en-suite rooms, all fully equipped with a kitchenette and an independent bathroom. The perfect place to get the best of 2 worlds: authentic Mauritian hospitality with a laid-back stylish touch. Their chic-ness comes from the furniture and handcrafts produced in the area, supporting local artisans and making use of recycled materials like the pallets used for their furniture and the natural elements in their decoration. Here, you are just at a short walk from one of our favorite beaches on the North, the secret Hibiscus Beach, as well as from our conscious Diving Centre, the bus stop and other dynamic villages. Bicycles & wi-fi are available free of charge. Breakfast is included in the price of all room categories. Private balcony facing the garden and pool. Cozy apartment with 1 double bed, equipped kitchenette & lounge with 1 double-sleeper couch. The best representation of eco-conscious accommodation in Mauritius. Otentic’s infrastructure is 100% moveable, lowering their environmental impact to the maximum. Their furniture is mostly sourced from upcycled materials like old doors, pallets and potato boxes; nonetheless, you can expect dry and cozy nights thanks to the well-equipped, elevated and protected tents. Enjoy an array of ecotourism activities in this privileged location nestled between mountain and river, in the most traditional coast of Mauritius. Every tent has capacity for 5 people (1 double bed + 3 individual beds). Tent: 108 €/night for stays of more than 3 nights. This authentic and peaceful eco-lodge is nestled on the banks of La Chaux River, surrounded by nature and a relaxing atmosphere. The rooms are built from the rocks of a former lime kiln, yet designed in a minimalist style with all the necessary amenities, private pool and Thai massage included. From Nativ Lodge you are just a few minutes’ walk from the 1st port of Mauritius (Mahébourg), with its old-time characters and wooden boats (better known as pirogues). With a little bit of luck you’ll get to enjoy some of the popular events organized by Nicolas in his lodge, bringing together the musical talents of the area to jam the night away. Half-board (breakfast + lunch) is included in the price of all room categories.